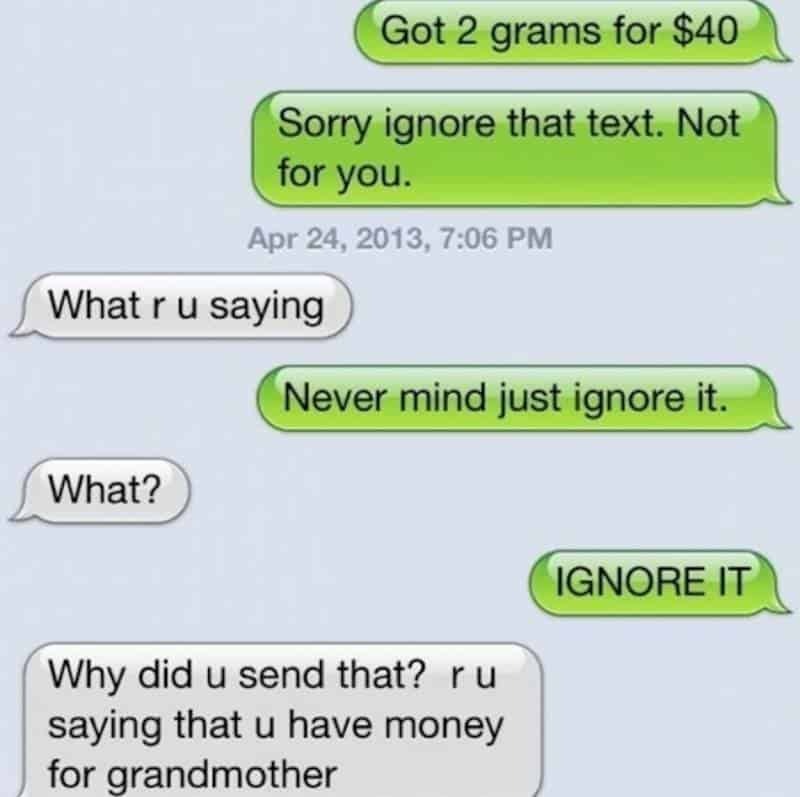 If the kid is smart, he’ll totally play along and tell his mom he meant he had money for grandma. Explaining what he actually meant isn’t going to go well. 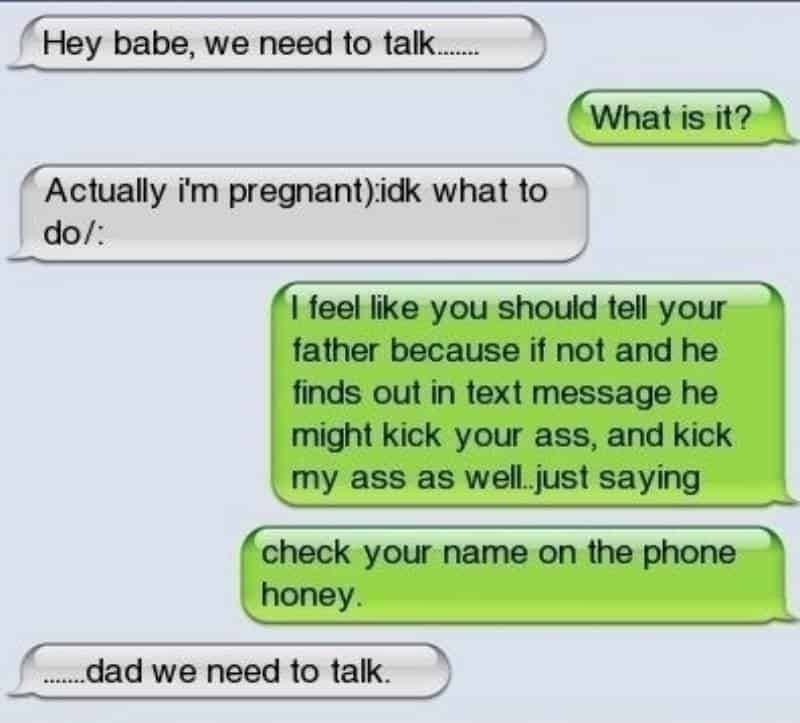 This girl absolutely deserves to get caught by her mother. 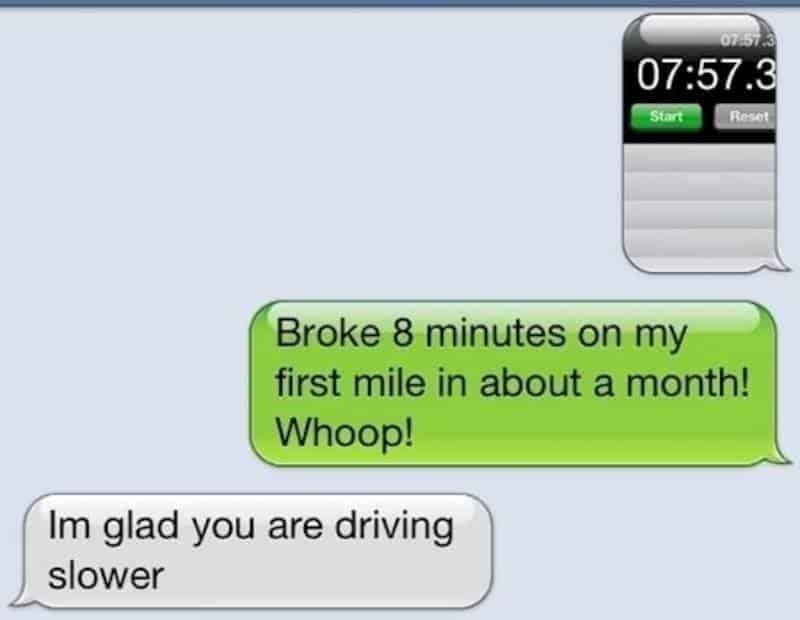 At some point, you need to pay attention to who you’re texting. 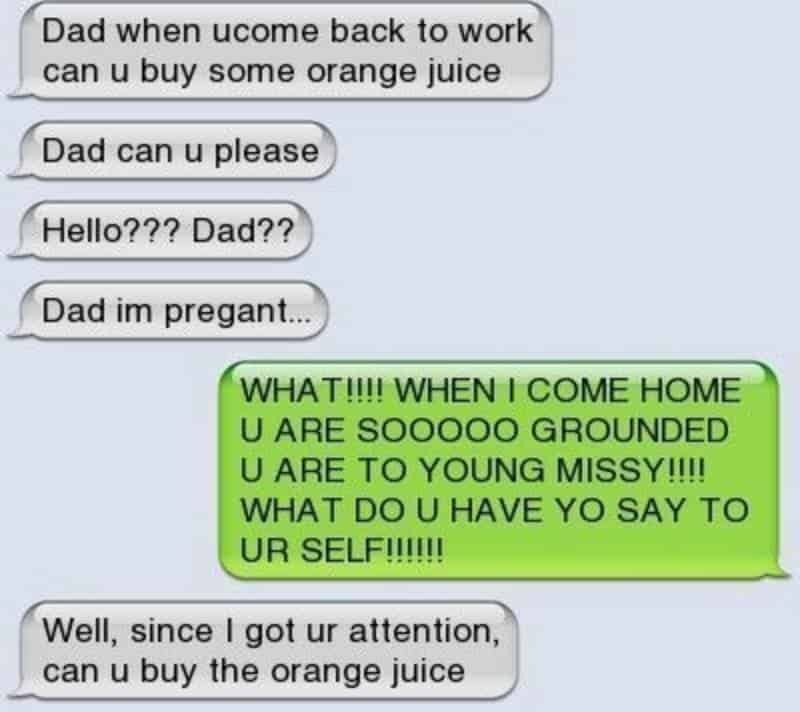 We hope she got grounded for life. 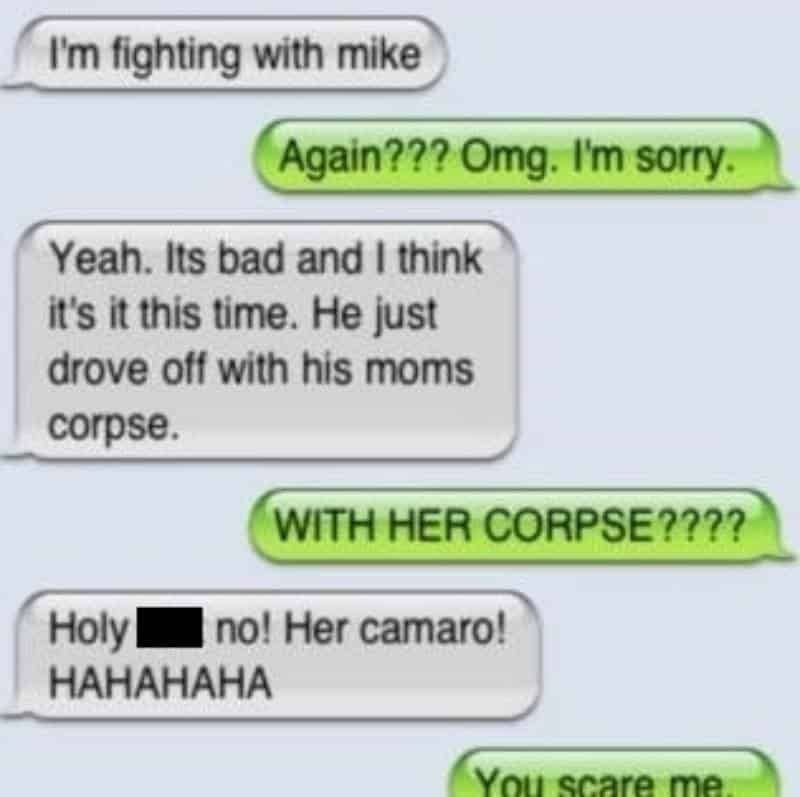 There is sending the wrong text to the wrong person and then there’s this. It’s going to be a while before she’s able to live this one down. If you ever see your daughter claim her boyfriend killed his mom, it’s time to talk to her about her choices in relationships. 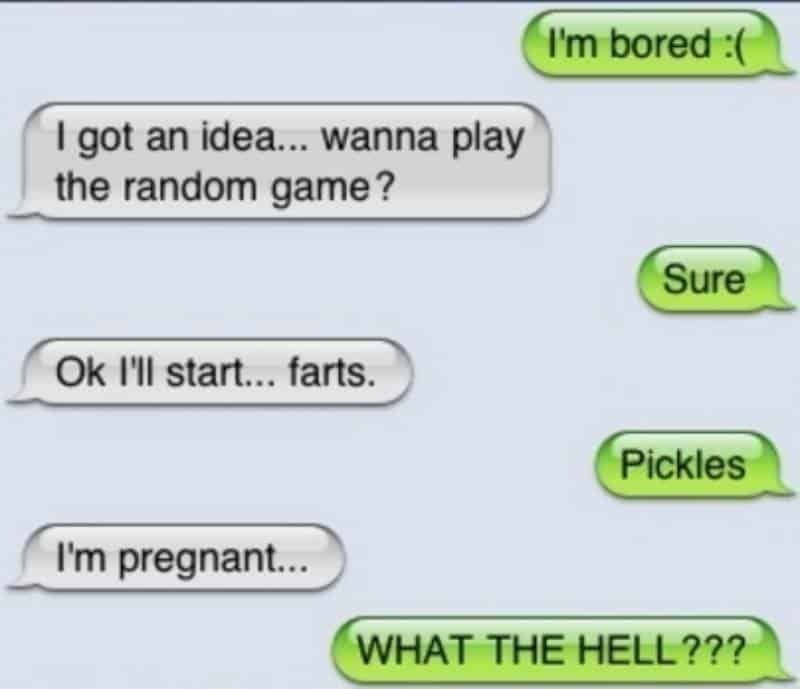 We give the girl props for having the bravery to play that game. We’re not sure we’d want to go there. We’re not sure how to take this. 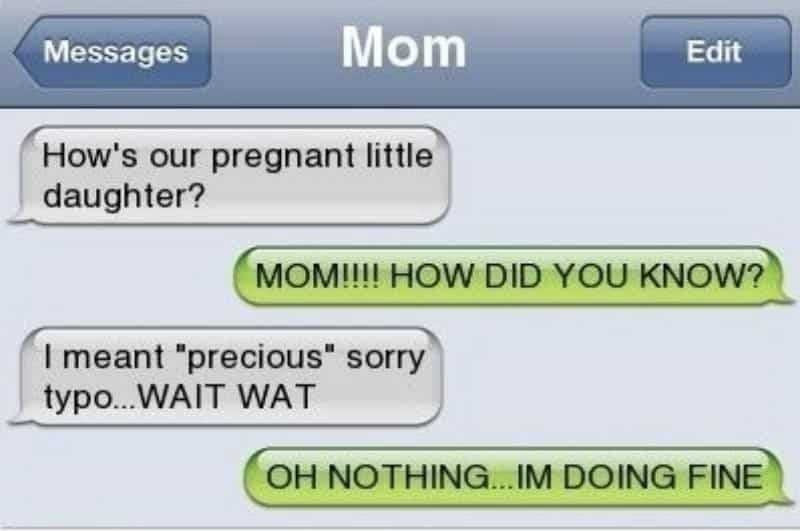 Is it possible the person on the other end is joking? Or are they that dense? 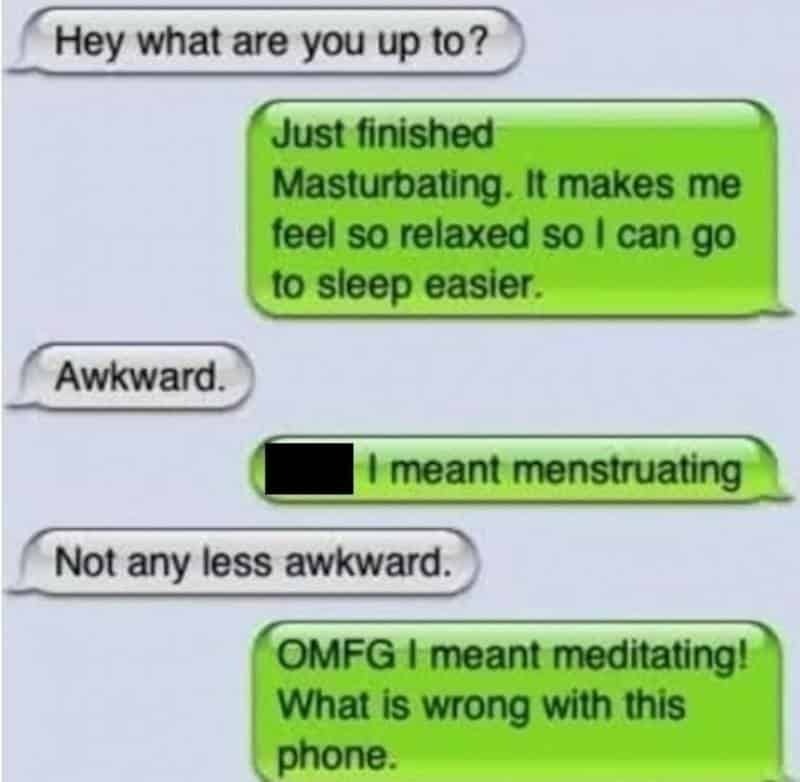 Autocorrect is a wonderful thing when used for good. 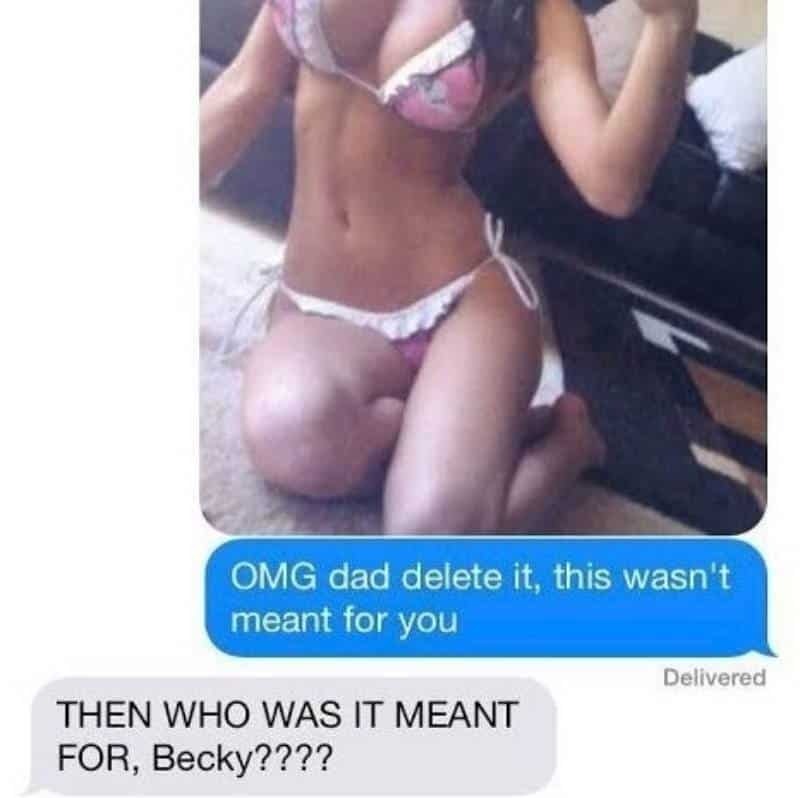 When it’s used for evil, you’re going to tell your dad you’re masturbating.